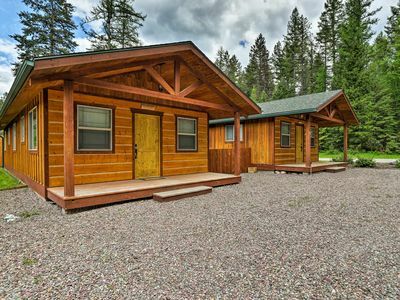 If your family and friends are looking for a unique Glacier Park experience , check out the 2,000 sq. 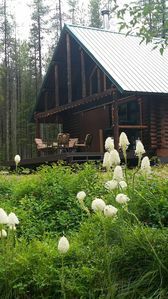 ft. Withrow House in Essex, Montana. 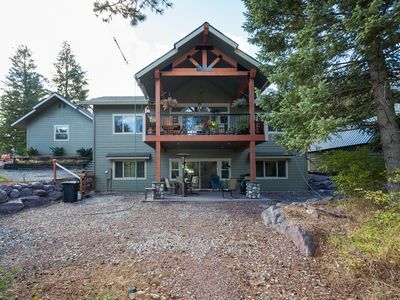 This 4 Bedroom, True Ski-In/Ski-Out Withrow House is located adjacent to the Izaak Walton Inn in Essex, Montana. 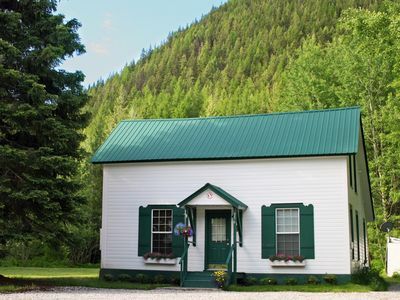 The Izaak Walton Inn, which is a must see for rail fans and others interested in the history of the Great Northern Railway's Empire Builder. 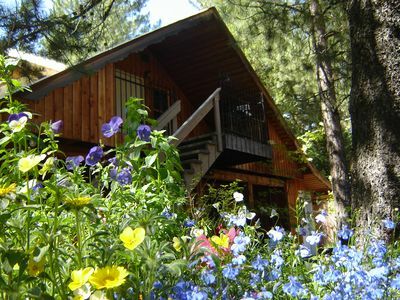 The scenic Inn, which is on the National List of Historic Places, is a well known stop for lunch and a delightful destination for lodging both summer and winter. 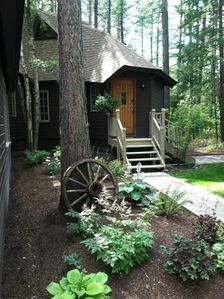 Guests of the Withrow House are invited to enjoy all the Inn's amenities as if they were a guest of the Inn. 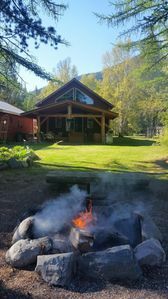 Bordering both Glacier National Park and the Bob Marshall Wilderness, this house makes a for a great base camp for your family or group vacation. 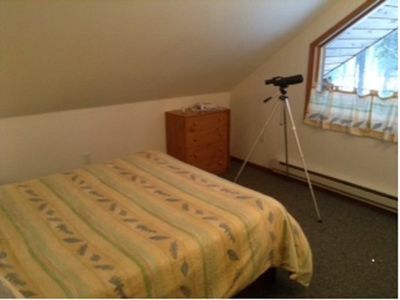 The house features four bedrooms, with a master bedroom on the first floor with full bathroom. 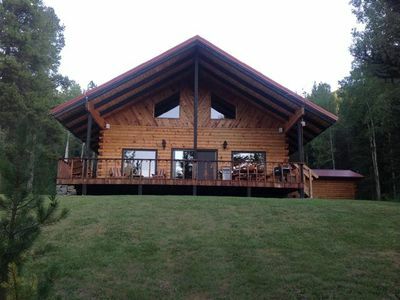 full kitchen, dining room, living room, with gas fireplace, patio deck, & bbq. 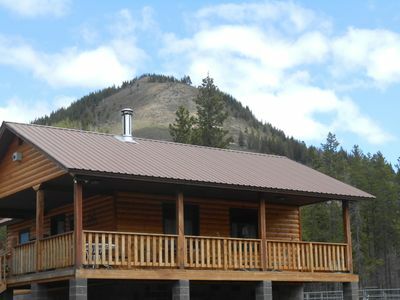 The deck looks out over two mountain ranges, and a huge yard allows for fun family activities. 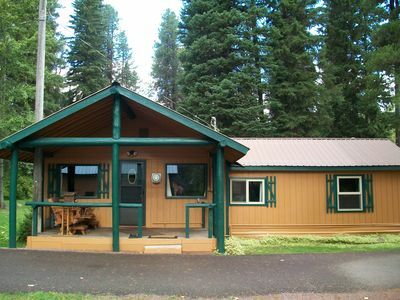 Slap your steaks on the grill and grab a cocktail from the Flagstop Bar at the Inn, or skip cooking altogether and head to the Dining Car Restaurant with patio seating to take in the majestic views and wait for the sun to set. 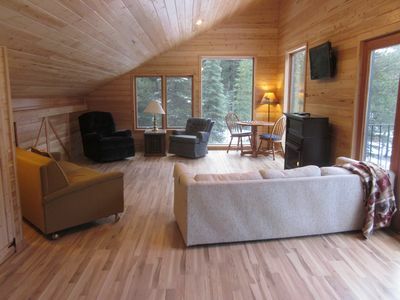 We are situated equal distance between both East & West entrances to Glacier National Park. 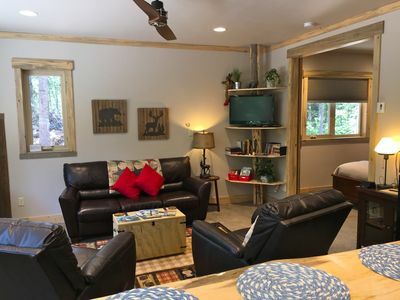 A scenic drive along beautiful HWY 2 following the Clark-Fork & Empire Builder line will put you there, or arrive via Amtrak along the Empire Builder Line and the Inn will pick you up on the start of your vacation. 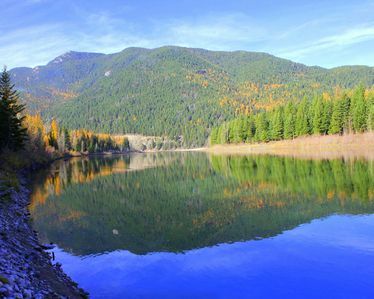 A popular wildlife attraction near the Withrow House is the nearby (within a few miles) Walton Goat Lick Overlook. 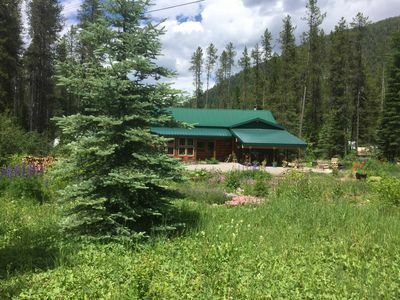 A sign directs you to a paved road ending in an ample parking lot where a paved, short and gentle trail leads to a view spot overlooking the deep canyon of Sheep Creek. Exposed rocks along the creek seep salts and minerals attractive to the local mountain goats. Best months of the year to see the goats are said to be June and July where as many as 75 at a time might appear. 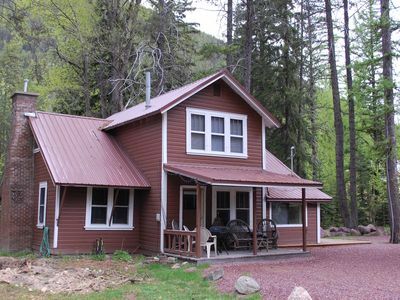 Glacier Log Cabin on 4 Acres- 2 miles from Izaak Walton Inn, Essex MT. 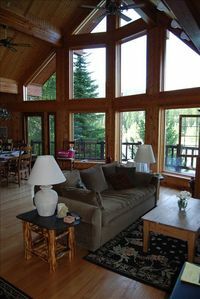 Centrally Located B/t East And West Glacier, This Is Your Home Away From Home. 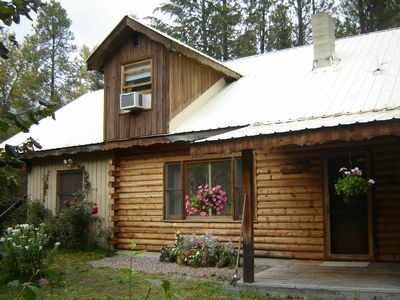 Stunning 1 BDRM bordering Glacier Park and Flathead River on 9 Acres!! !